Madigan announced Friday that his political organization had retained an "independent counsel" in Kelly Smith-Haley, of Fox Swibel Levin & Carroll, LLP. Questions continued to surface Tuesday on the sexual harassment and misconduct allegations within the office of Illinois House Speaker Michael Madigan. Smith-Haley "will provide independent review of allegations, conduct investigations, and provide recommendations for updating policies and procedures, including clear rules for conduct and penalties for violations," Madigan wrote in a letter to Democratic lawmakers. However, as Madigan looks to get in front of the scandal that has thus far seen the terminations of two high-ranking political operatives, attention has turned to how independent that counsel may be. Smith-Haley's two brothers, Mike Smith and Bill Smith, both work at Cornerstone Government Affairs - a public relations and lobbying firm that hired another top Madigan aide, Will Cousineau, eight months ago. Cousineau worked for the speaker for 18 years, according to his biography on Cornerstone's website, and served as Madigan's political director for eight years. In that role, Cousineau oversaw legislative races across the state – including the 2016 campaign during which sources said allegations of misconduct surfaced against another high-ranking Madigan staffer Shaw Decremer, who was quietly dismissed last week. In June 2017, Cousineau was hired by Cornerstone, where he is listed as one of four staffers in the company's Illinois office, alongside principal and director Mike Smith, and senior consultant Bill Smith - both directly related to Madigan's newly-appointed independent counsel. Smith-Haley said Mike Kasper, Madigan’s longtime attorney, asked her to take on the role. She said they know each other because their daughters attend school together, but she has never done any work for Kasper before. “I’d like to think he hired me because he knew it was going to be a good fit,” Smith-Haley said. “It’s important to remember to investigate the policies, the claims; that’s what outside counsel generally does for clients,” she continued. Mike Smith, Bill Smith, Cousineau, and a spokesman for Madigan did not respond to requests for comment on the independent counsel’s ties to the speaker’s organization. Madigan announced Smith-Haley's appointment in the same letter that listed Heather Wier Vaught, his personal attorney and his office's former chief legal counsel, as a contact for political staff members to turn to should they want to "report any incidents or allegations or get additional information” going forward. Wier Vaught played a key role in the allegations that first surfaced last week, resulting in the dismissal of Kevin Quinn. 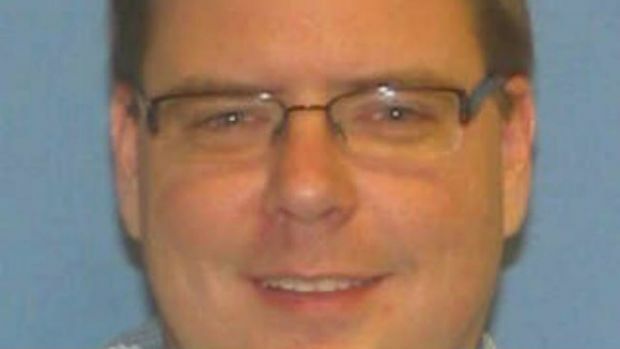 Wier Vaught is the person Alaina Hampton said she met privately with about her allegations of sexual harassment against Quinn, her supervisor and the brother of 13th Ward Ald. Marty Quinn. Hampton told NBC 5 that Wier Vaught "dismissed her," adding that she does not believe Wier Vaught should be a part of the handling of any new complaints that may arise. In a statement on Kevin Quinn's firing last Monday, Madigan said he directed Wier Vaught "to conduct a thorough investigation," which ended in Kevin Quinn's termination, according to the speaker - though the timing was called into question when the Chicago Tribune published Hampton's account of the harassment allegations just hours after Kevin Quinn’s dismissal. 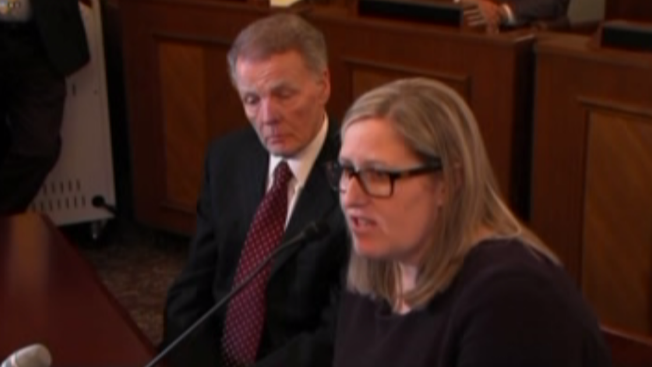 Regarding Wier Vaught’s involvement in further investigations, more questions surfaced over her relationship with Decremer, a prominent lobbyist who oversaw numerous political campaigns for Madigan on a “volunteer” basis for years before the speaker cut ties last week. Wier Vaught and Decremer are close friends, with Decremer at times staying at Wier Vaught's Springfield home. “I recused myself from the recent matter concerning Mr. Decremer,” Wier Vaught said Tuesday in an emailed statement. When asked if Wier Vaught is an independent choice to investigate claims of harassment, Madigan's spokesman Steve Brown told NBC 5 that "independent counsel is available to step in," referring to Smith-Haley. While Kevin Quinn's termination prompted calls for Madigan to step down as chair of the Democratic Party of Illinois, those calls grew following Decremer's dismissal, with now at least two of the Democratic candidates for governor distancing themselves from the powerful speaker. “In the best interest of justice and truth, and to protect the women who have bravely come forward, Madigan should immediately resign from his position as Chairman of the Democratic Party of Illinois," state Sen. Daniel Biss said in a statement. "And to ensure a truly independent investigation, we call on the Office of the Inspector General to conduct a swift and thorough investigation into these allegations." Chris Kennedy, who first called on Madigan to step down amid an investigation last week, reiterated his stance Monday. "I've asked Speaker Madigan to step back from the investigation, not because I think he's guilty but because we need to convey a message, send a message to everybody in Illinois that the Democratic Party is willing to sacrifice," Kennedy said. Meanwhile, J.B. Pritzker has also joined the chorus, though the apparent frontrunner - who has received much of the party's official backing - remained reluctant to call out Madigan by name. "There does need to be an independent investigation, I've said from the very beginning that it has to be independent," Pritzker said Monday. "Women have to know that there's a place that they can go to report allegations of sexual harassment." Democratic state Rep. Kelly Cassidy was also among those calling for a new, wholly independent investigation. “The slow and steady drip of accusations and dismissals has turned into an endless cycle of lather, rinse, repeat, highlighting the culture of harassment in the legislature and political campaigns." the Chicago legislator said in a statement. "I am calling for an independent investigation into this culture that appears to pervade the organizations led by Speaker Madigan," she continued. "Because of the unique interconnectedness of his Capitol and political operations, the investigation must not be hampered by organizational boundaries. The investigator(s) should not be Democratic elected officials, individuals or firms with pre-existing ties to the Speaker and should have demonstrated experience with investigations of this nature." "We must get to the bottom of this with confidence in the independence of the investigator. We need to force the very real culture change required to truly show that #timesup," Cassidy's statement ended. “We have begun discussions about how to structure this panel and define its mission to include the voices of women around Illinois and make recommendations,” all three women said in a joint statement Tuesday.